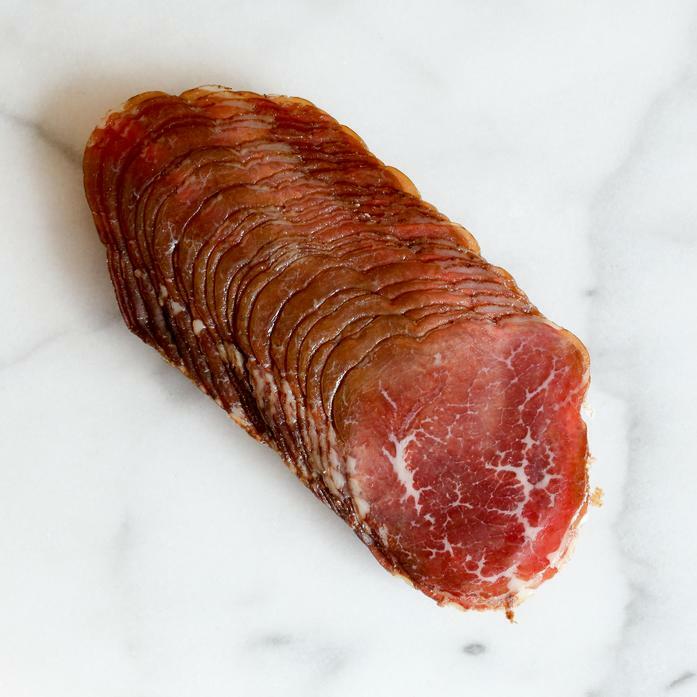 Our Bresaola is a classic Italian delicacy seasoned with herbs and spices. It's just like a prosciutto but it's made with beef instead of pork. It's ideal for snacking and salads or drizzled with olive oil and lemon.